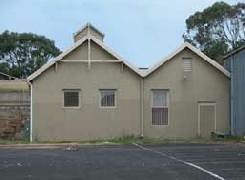 The Warrnambool Gem Club was formed in 1968. Warrnambool is a city of some 33,000 people in the south-west of Victoria, Australia. You can contact the Warrnambool Gem Club by writing to P.O. Box 18, Warrnambool, Vic., Australia, 3280 or by using the Contact Us page. The club workshop The club holds it's workshop sessions, and monthly meetings, in ' the old pump house ' at the northern end of Queens Rd, Warrnambool, Victoria, Australia, 3280. For club members there is a $5 workshop fee per session. The workshop is normally open on Saturday afternoons from 1-00 till 4-00 p.m. (but from 10 a.m. - 4 p.m. on the first Saturday of the month when the fee is $7) and on the first and third Wednesdays from 1-00 till 4-00 p.m. The workshop may be closed if members are on a field trip. It is normally closed from mid-December till mid- January during the Christmas period. The club's monthly meeting is held on the third Wednesday of the month, starting at 7-30 p.m. The club has an extensive collection of books related to gemstones, minerals, jewellery and fossicking. Club members can borrow books from the club or read them in our club rooms. The club operates field trips when convenient. Many of our club members get together to organise their own field trips, particularly during winter when many members head to warmer parts of the country to fossick. If you are interested in fossicking/gem cutting/lapidary work, consider joining a club. 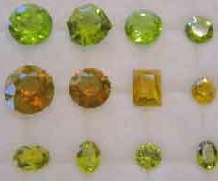 Being a member of a gem club can provide an introduction to a great hobby for people of all ages. This site is managed on a voluntary basis. If you find any problems in using the site please contact us (e-mail preferred). If you do not get a reply or if the problem is not remedied within a few days it is probably because I am away interstate fossicking, at the AFG seminar or bush walking etc. I will attend to any problems as soon as I can. THIS IS A ‘LEGACY VERSION’ OF THE CLUB WEBSITE. IT ONLY HAS SOME OF THE PAGES AND IS NOT UPDATED AS OF MARCH 2017.